Whenever Google makes a change online marketers everywhere begin to panic. What does it mean? How will it affect me? Well—they’ve done it again. This time with their new Gmail inbox. And it does indeed affect email marketing and email marketers in a vital way—after all, they have over 425million active users. The Forums Inbox, where messages from the discussion groups and forums you belong to are sorted. This new classification of your Gmail inbox into multiple inboxes with different themes will mean you may need some initial tweaking to get exactly the right emails in exactly the right folders. You will likely have to move some from the ancillary categories into the primary inbox. Most importantly, you will need to regularly check all folders—just in case one of your super-important and worked-hard-for-a-dollar leads is filtered into the wrong folder. So—now down to the most important stuff, the new Gmail inbox and how it affects email marketing and your email-marketing recipients and their open and response rates. The information above, in how it affects your own inbox, is important, because it shows how your customers will be thinking about, and using, the new inbox system. So, your emails will likely be sorted into their new ‘Promotions’ folder—which will require additional work on your part in order to get upgraded to their primary folder (however, when you get there it will be oh so sweet!). This new ‘smart’ inbox system essentially takes us back a number of years and gives us yet another email filter to fight against. But before you get anxious, know that this could be a positive or a negative. If you have a well-earned list of leads that you are already engaging with you may see a growth in your read rates—after all, HubSpot did! They saw an almost 60% increase in email opens after this new feature was rolled out. On the other hand though there is MailChimp, who saw a week-over-week decrease in open rates since the rollout of the new inbox. What Does the New Gmail Inbox Mean for my Bottom Line? What the new Gmail inbox means for your bottom line is that those with well-earned, qualified email-marketing lists will benefit the most. If you have a reasonably active and engaged audience you will hopefully see a helpful boost in open rates. Conversely, if you have an outdated, purchased, or otherwise less-than-engaged email list you will need to work on higher-quality emails and increased interaction. The good news? The new Gmail inbox hasn’t been forced on new users yet. Some early adopters have upgraded while others are waiting for Gmail to force them over to the new system. This means there is time for you to ramp up your email list and your engagement strategy. It also means you are smack in the middle of prime-time to get the early and current adopters who are ‘sorting out’ their new inboxes—to get yourself ‘sorted’ into their primary folder. 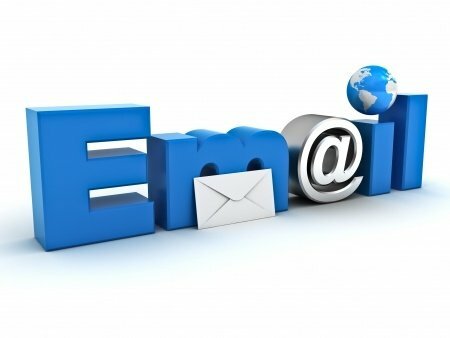 If you could use a professional helping hand in terms of effective strategies for engaged email marketing—contact us today for an action plan on how to address and circumvent the new Gmail inbox and its affects on email marketing. This entry was posted in Online Marketing and tagged on August 6, 2013 by ReferLinks Online Marketing.